The Boeing 737 MAX wing. AIR FUEL ECONOMY. Boeing is near a final version of its 737 MAX fuel-efficient wing, that is said to reduce fuel consumption by about 1.5 percent, according to the company. 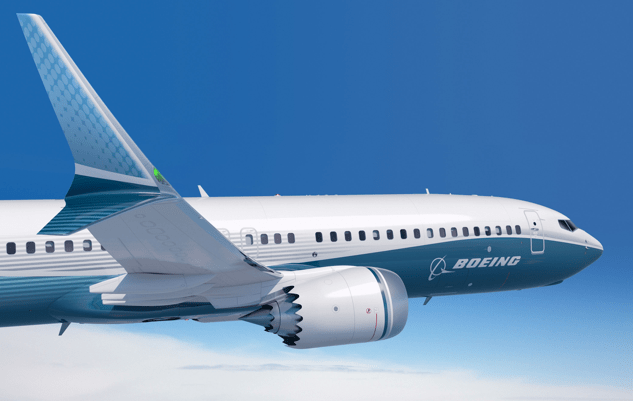 In the past several weeks, Boeing has announced a series of design updates to the 737 Max, including most recently a new “dual feather” winglet concept aimed at further improving the fuel efficiency of the new airliner, AIN Online reports. With other modifications, including new engines, the MAX concept is said to deliver as much as 12 percent better fuel economy, Bloomberg News reported earlier in May. The MAX, with upgraded engines, is scheduled for first delivery in 2017 and has amassed more than 1,000 orders and commitments from 16 customers, according to the company.